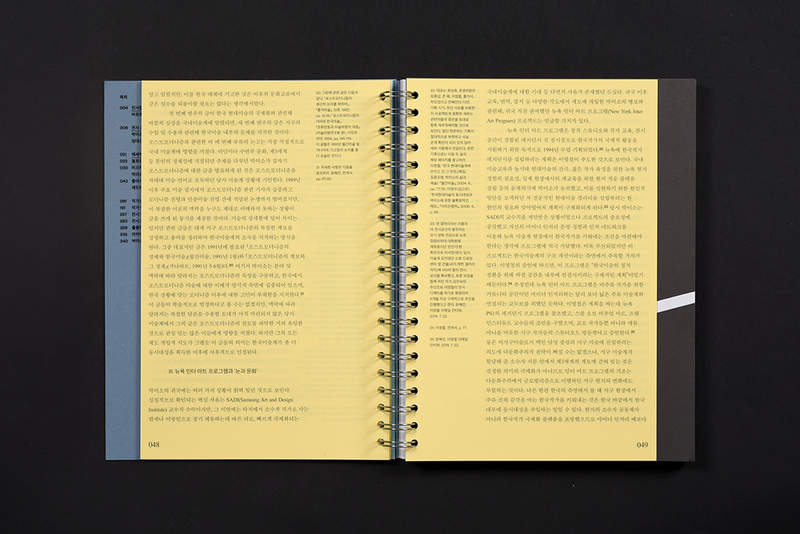 일상의실천에서 국립현대미술관에서 개최한 <박이소: 기록과 기억>전을 위한 도록 디자인을 진행하였습니다. 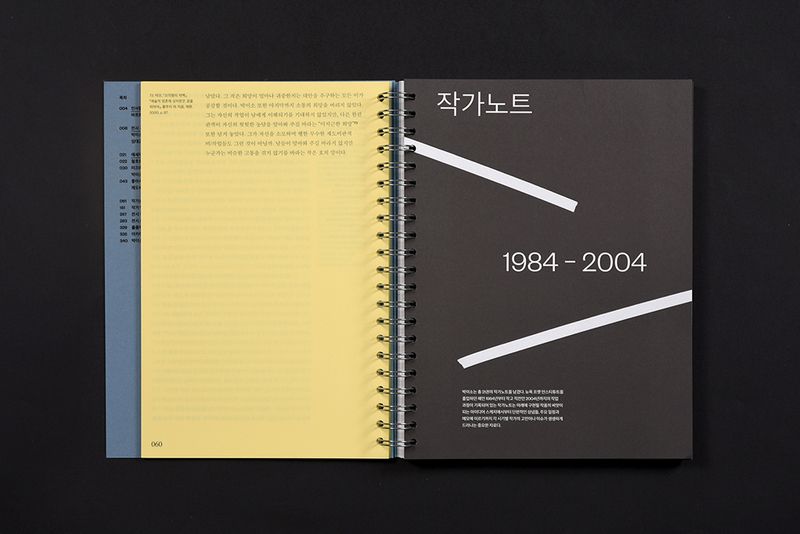 박이소는 1980-2000년대 초반 작가, 큐레이터, 평론가로 활동하며 민중미술과 모더니즘으로 양분되어 있던 국내 미술계에서 ‘경계의 미술’을 통해 한국 현대미술의 지평을 넓힌 작가입니다. 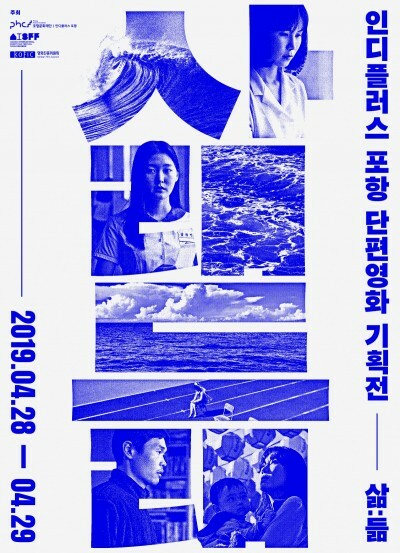 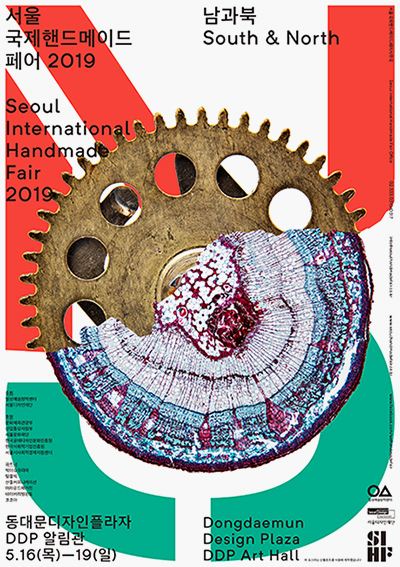 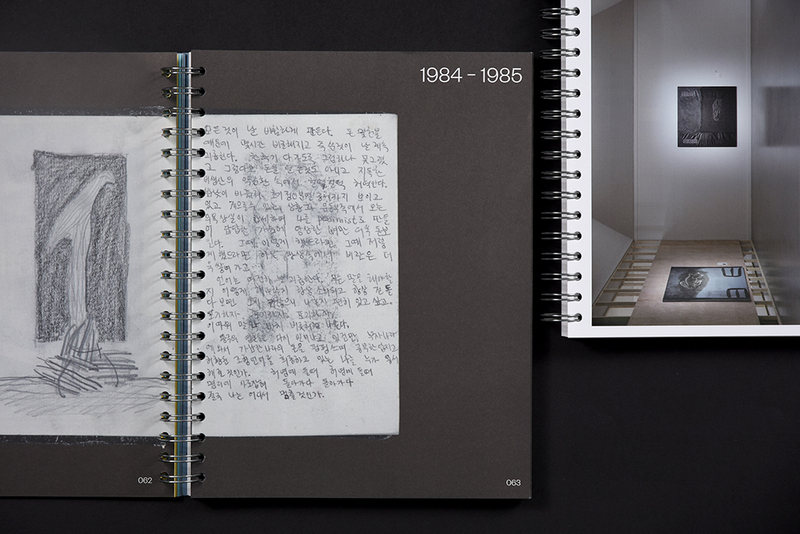 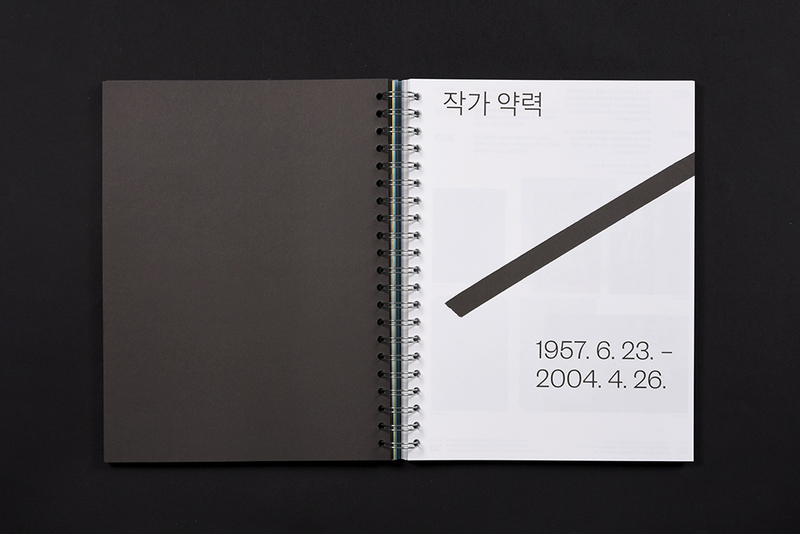 <박이소: 기록과 기억>전 도록은 박이소가 뉴욕에서 본격적으로 활동을 펼치기 시작한 1984년경부터 갑작스럽게 사망한 2004년까지 약 20년간 작가의 작품 세계를 엿볼 수 있는 21권의 작가노트를 포함하여 드로잉, 교육자료, 전시관련 자료, 기사, 재즈 애호가였던 작가가 직접 녹음·편집한 재즈 라이브러리에 이르기까지 수백 점의 이미지와 텍스트를 카테고리별로 구분하여 정리한 아카이브 도록입니다. 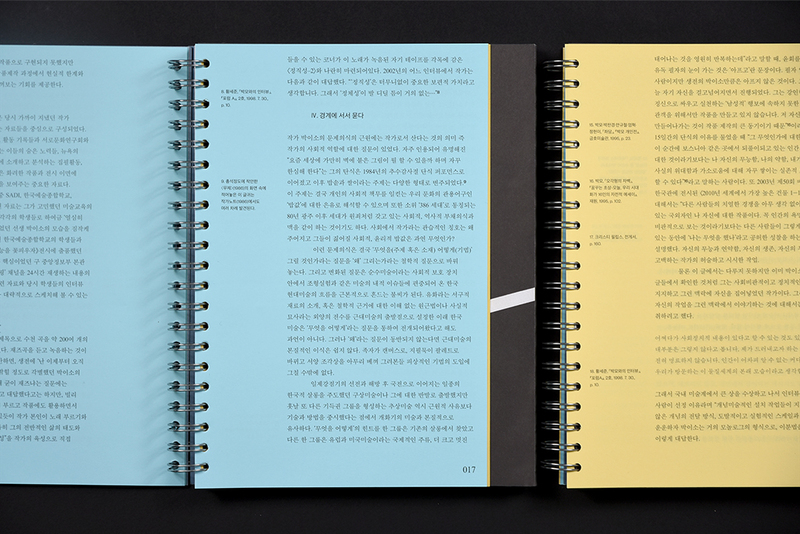 일상의실천은 다양한 층위의 아카이브의 성격에 따라 도록의 레이아웃과 판형을 구성하고, 작가노트를 상징하는 링바인딩 마감으로 아카이브를 중점적으로 다루는 도록의 특징을 상징적으로 드러냈습니다. 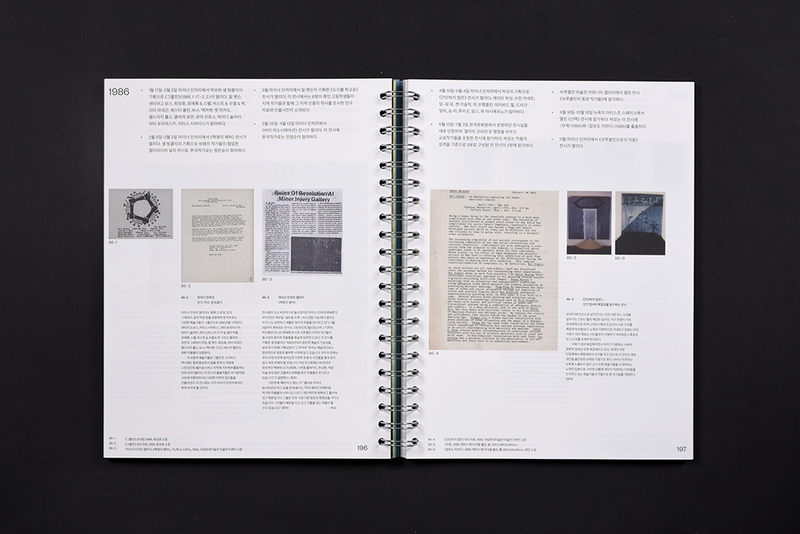 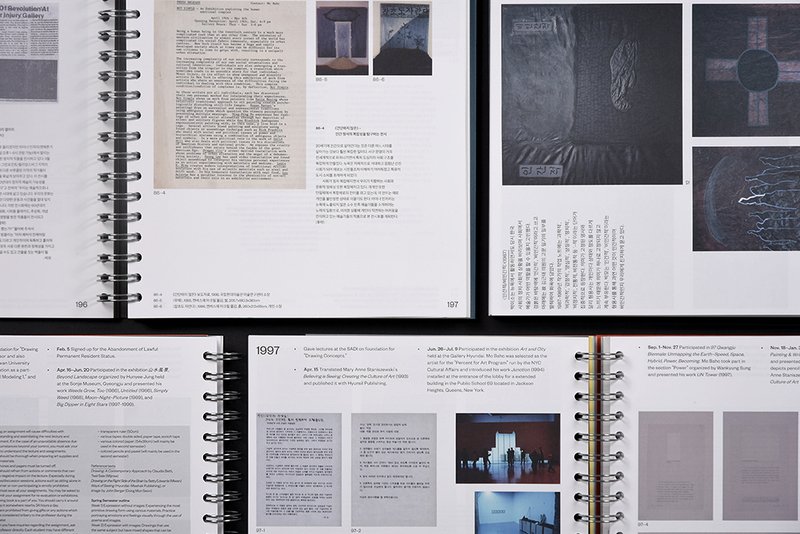 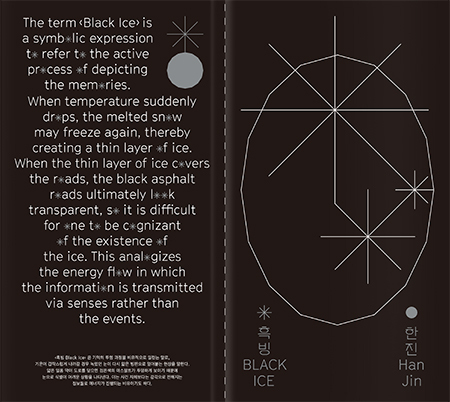 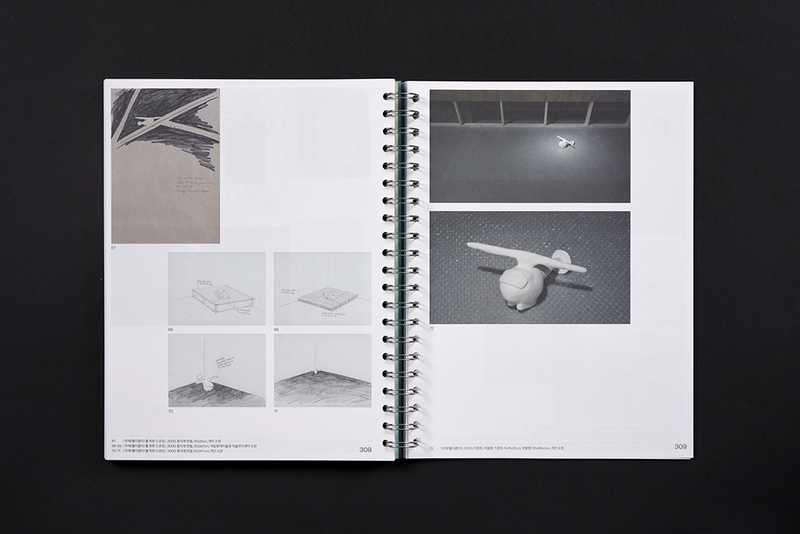 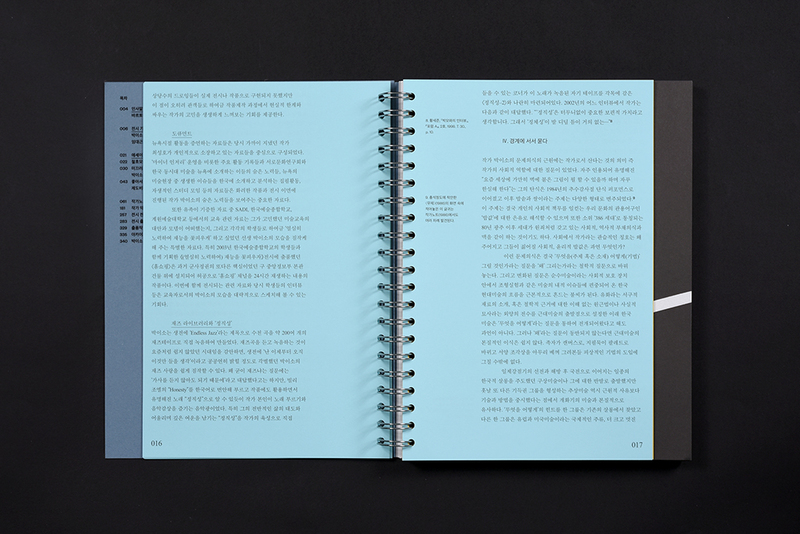 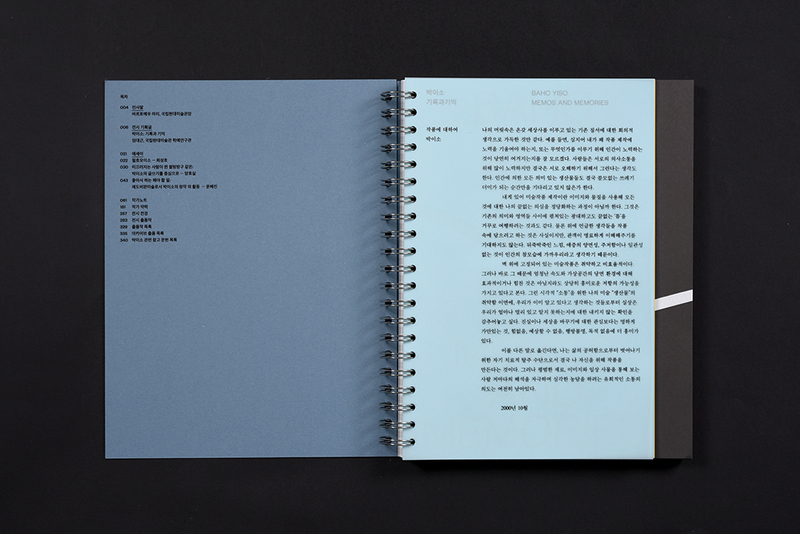 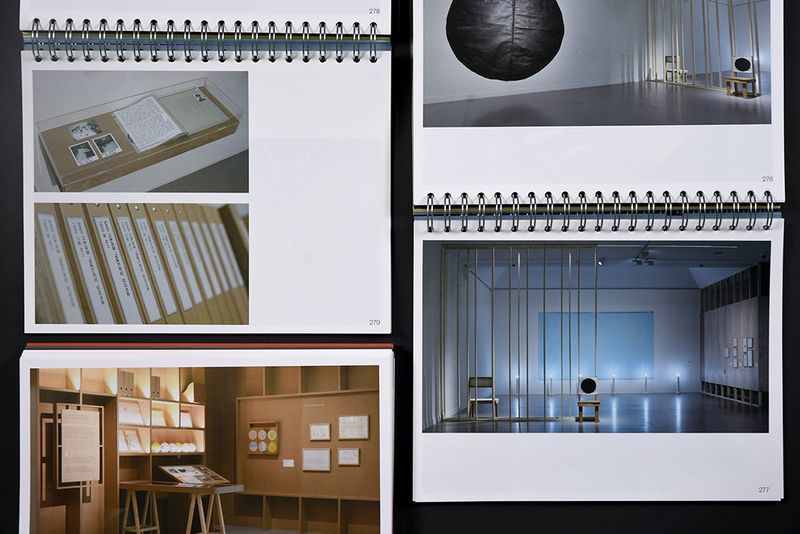 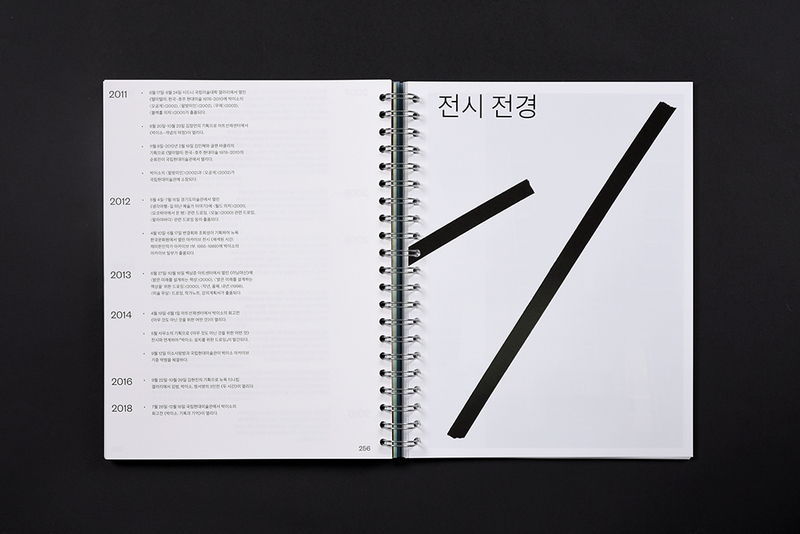 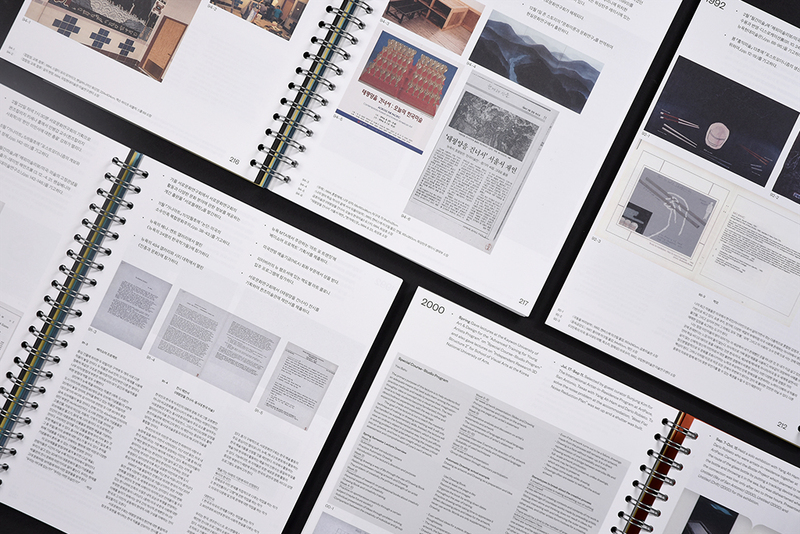 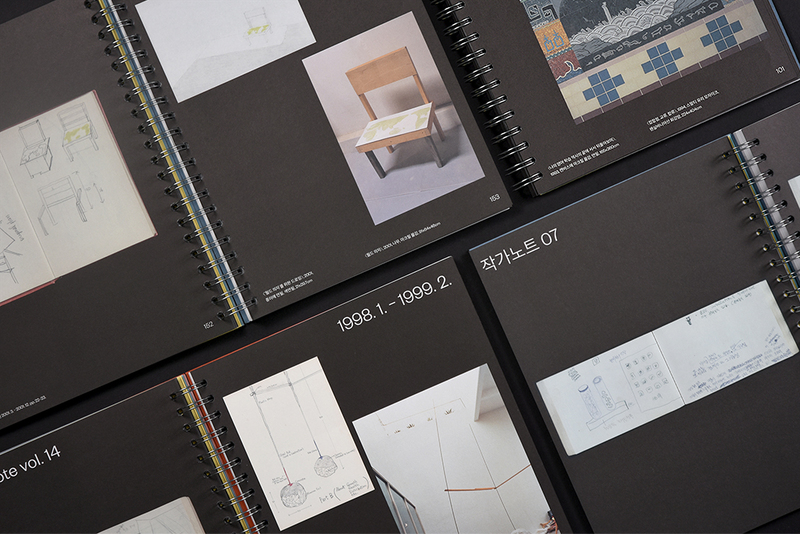 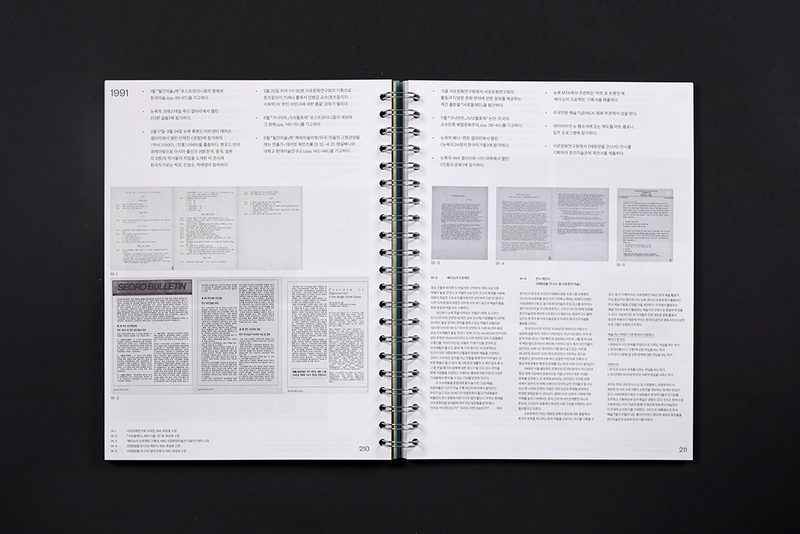 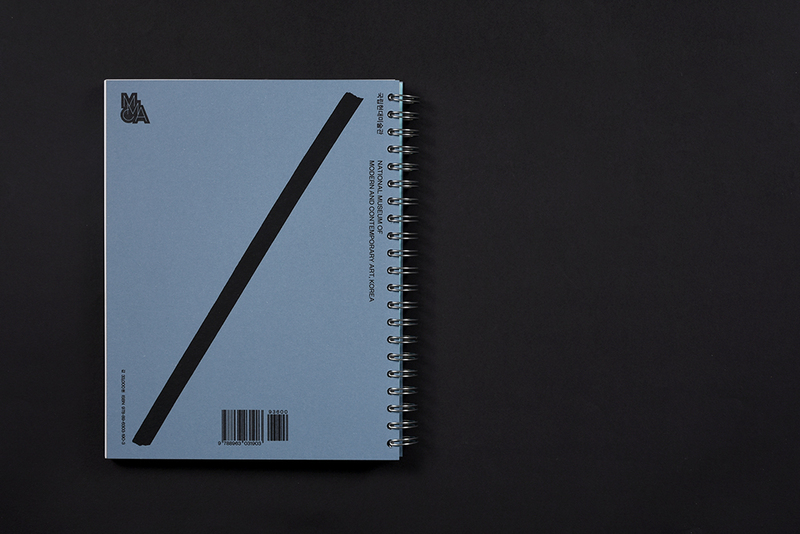 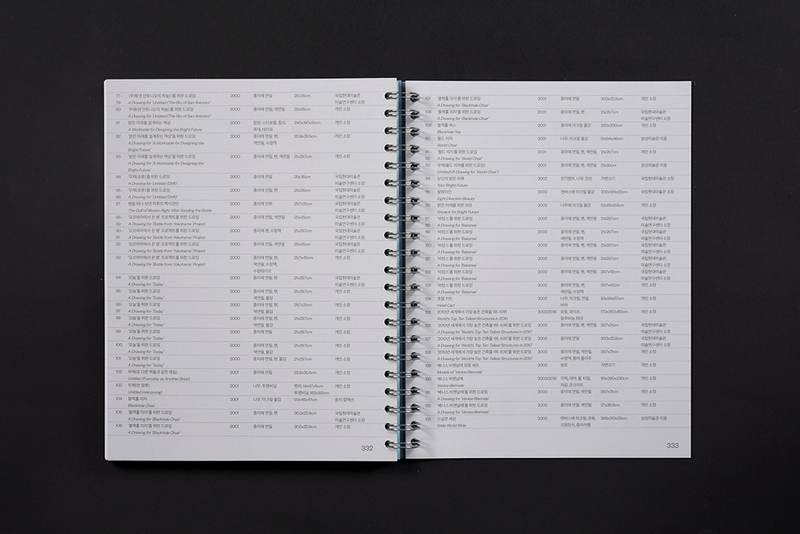 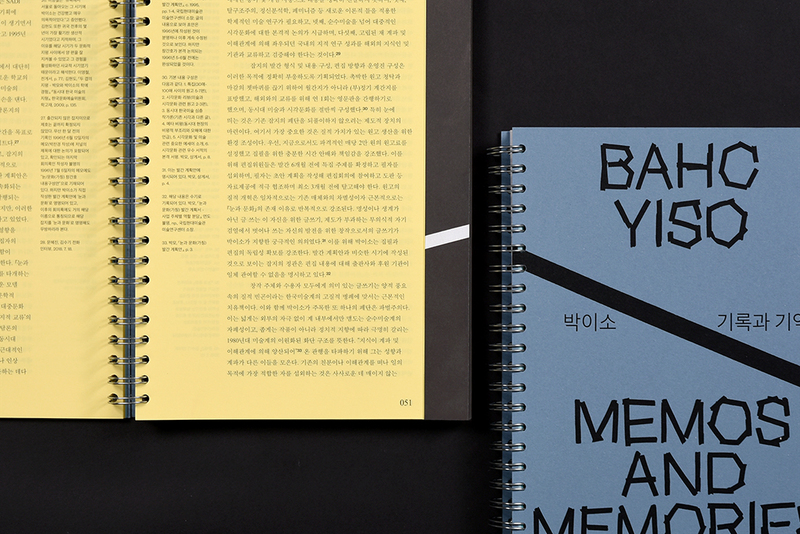 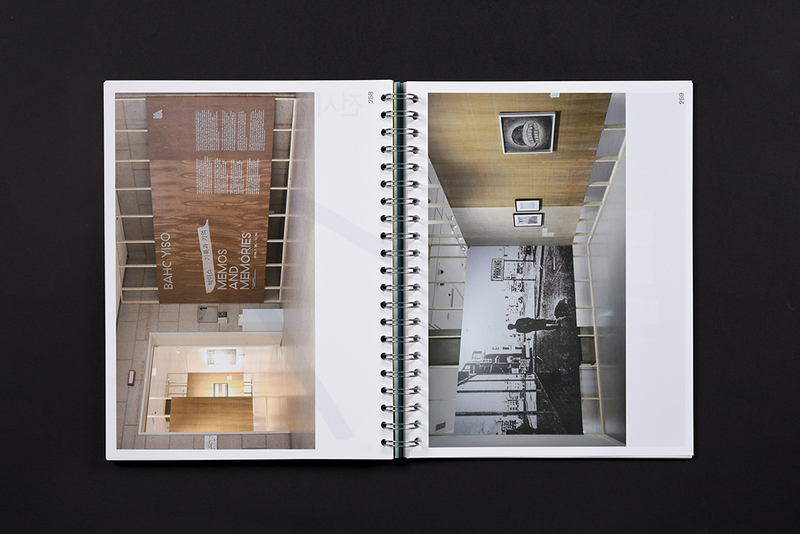 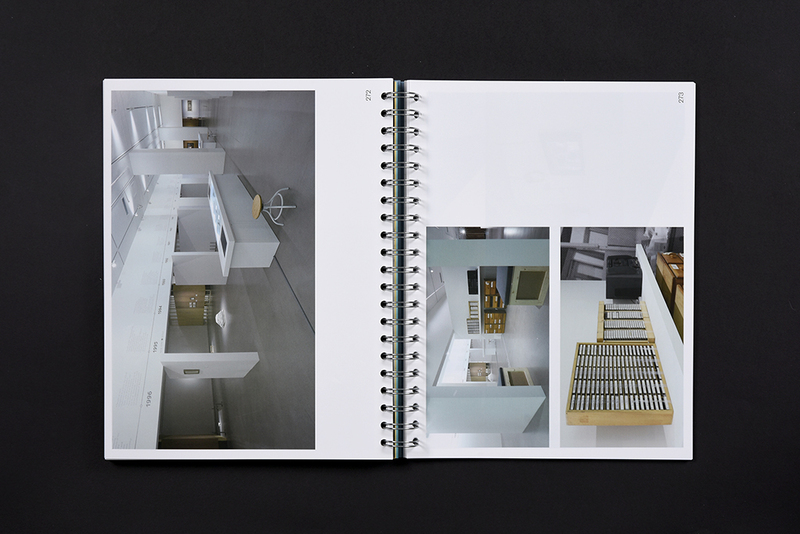 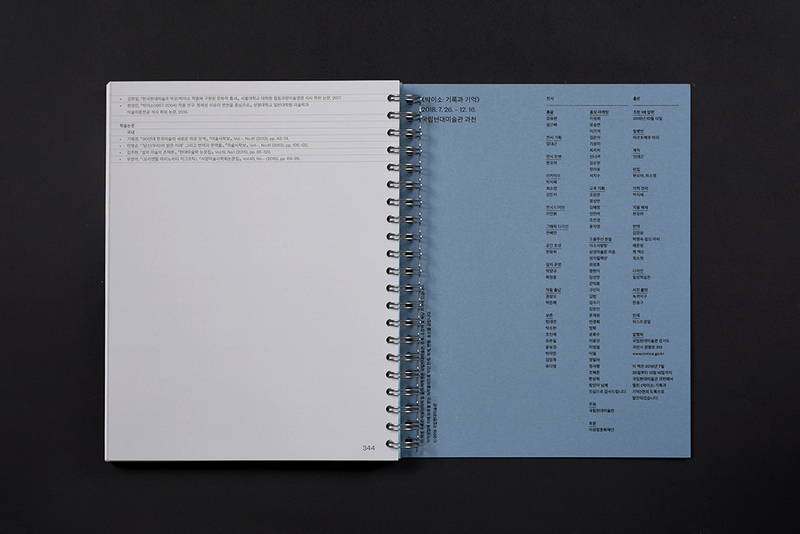 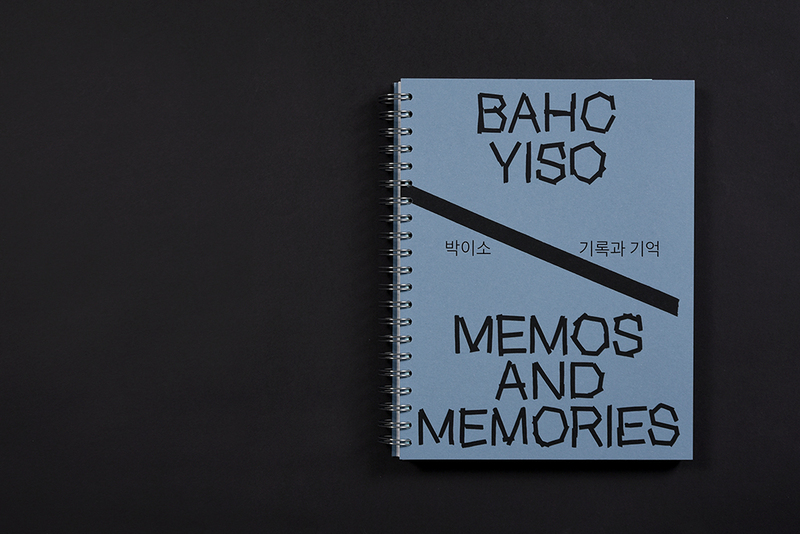 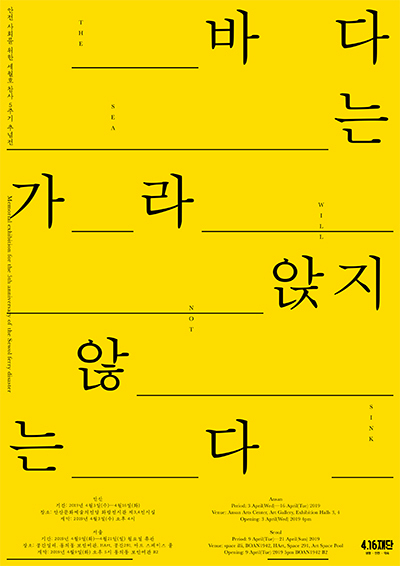 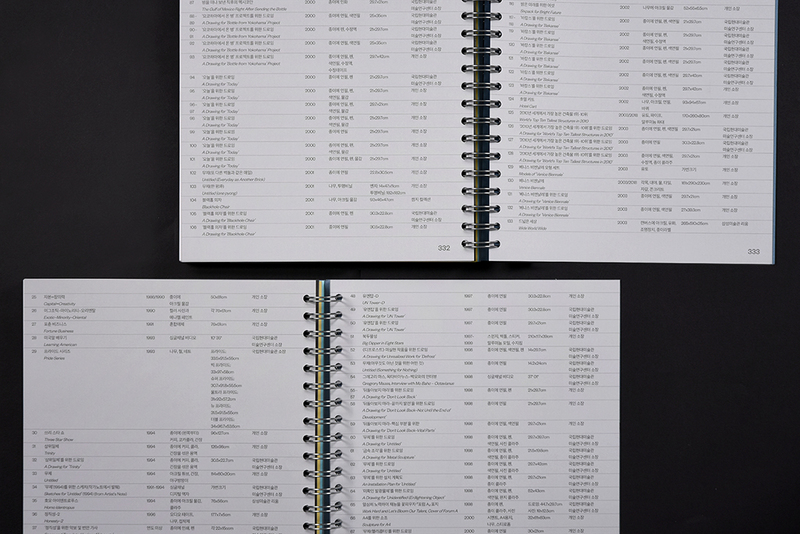 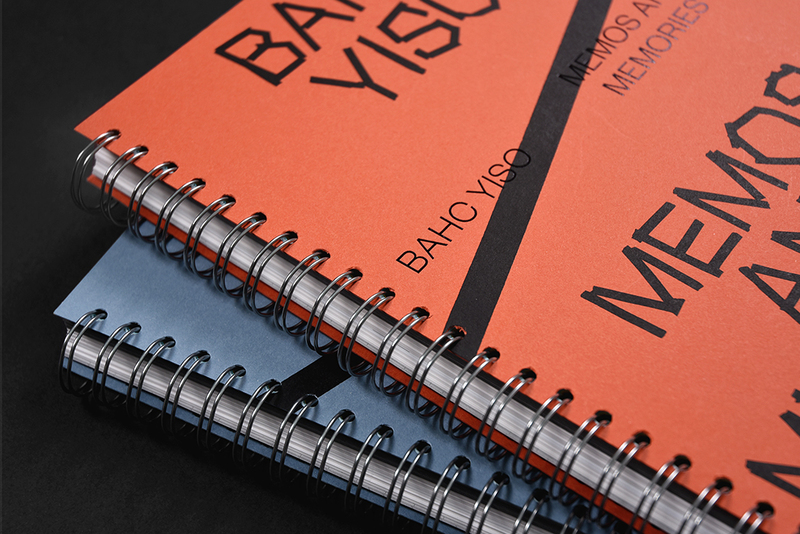 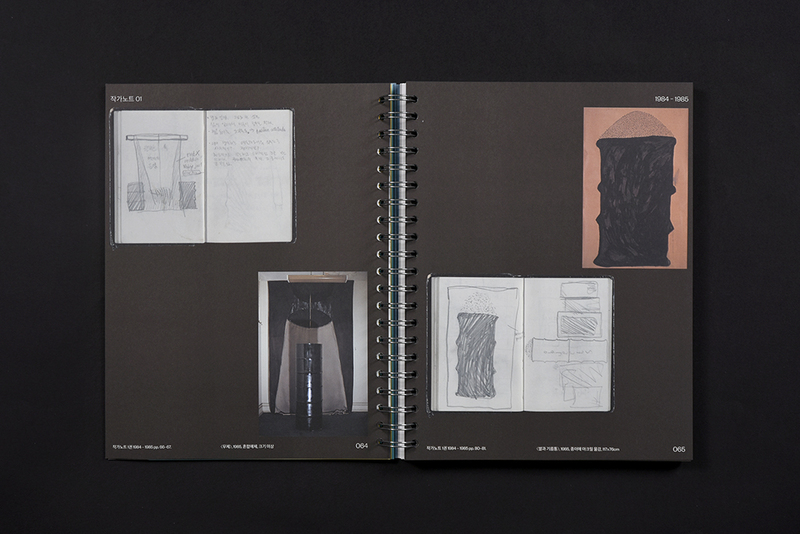 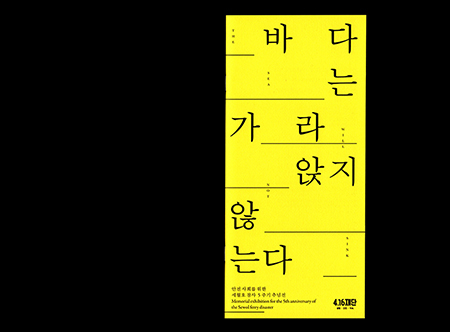 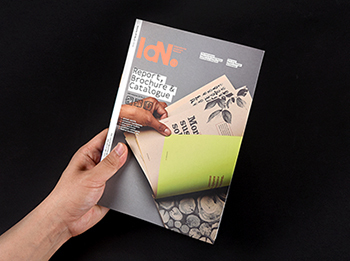 Everyday Practice designed a catalogue for the exhibition <Bahc Yiso: Memos and Memories> held by National Museum of Modern and Contemporary Art. 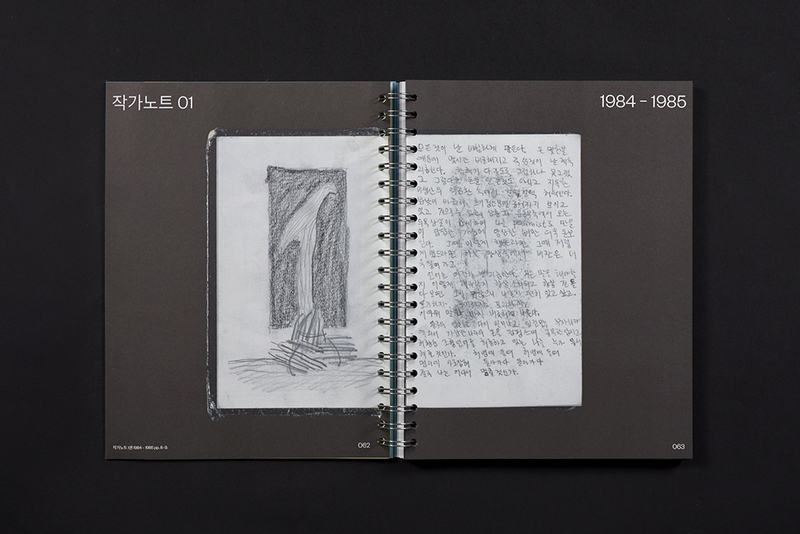 Bahc Yiso, who worked as a writer, curator, and critic in the early 1980s and 2000s, broadened the horizon of Korean contemporary art through “The Art of Boundaries” in the Korean art world, which was divided into folk art and modernism. 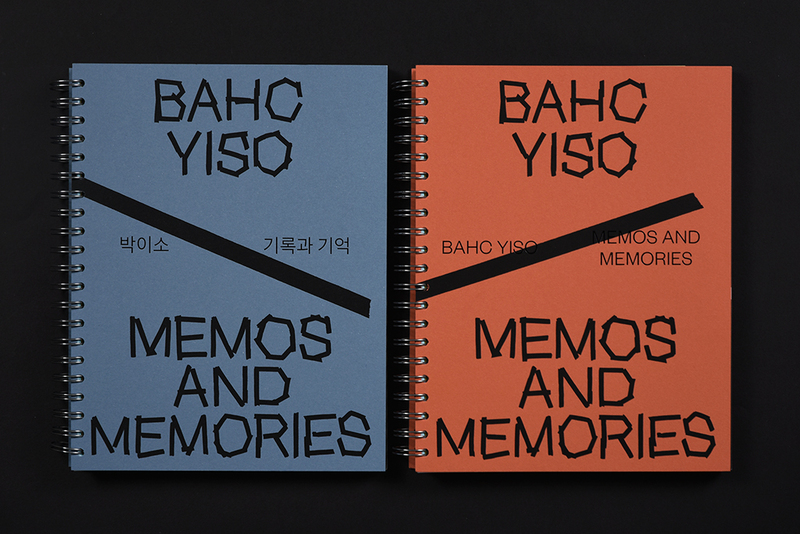 <Bahc Yiso: Memos and Memories> is an archive catalogue which deals with artist note, drawings, educational and exhibition documents, articles, and even jazz libraries.The catalogue is characterized by layout and shape, and its ring-binding finish, which symbolizes the archive of the artist notes, symbolizing the nature of the archive.